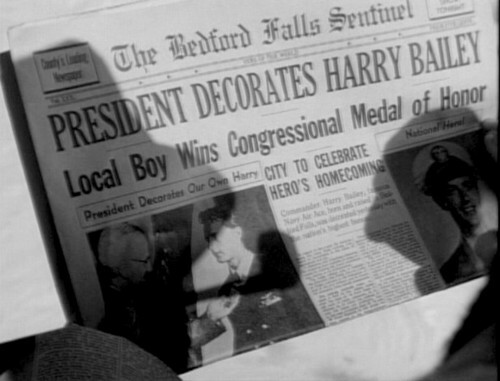 The Bedford Falls Sentinel - An It's a Wonderful Life Blog: I've been looking all over town for you ... 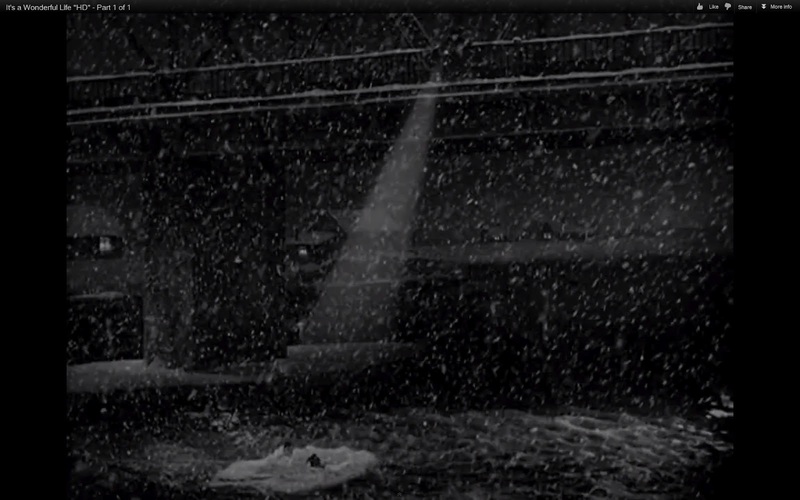 I guess you've been visiting the Bedford Falls Bridge! I've been looking all over town for you ... 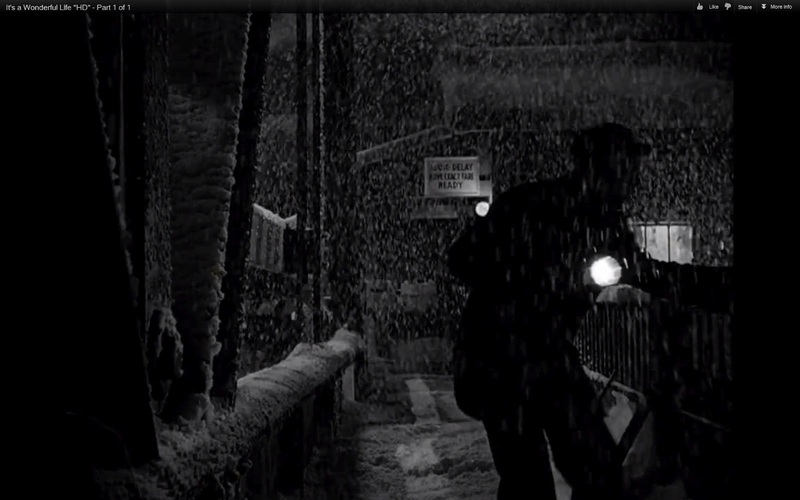 I guess you've been visiting the Bedford Falls Bridge! 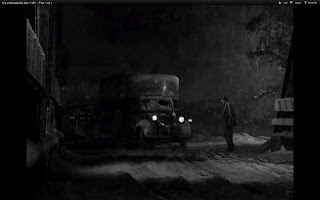 Many things are iconic about our film, and the experience of watching or seeing it unfold conjures many images each and every time you see it. Some stick out more than others though, like bells, or banks, or bridges. We've covered the bank, and we'll get to the bells, so here is the bridge. Bridges feature more prominently than maybe most people even originally think. 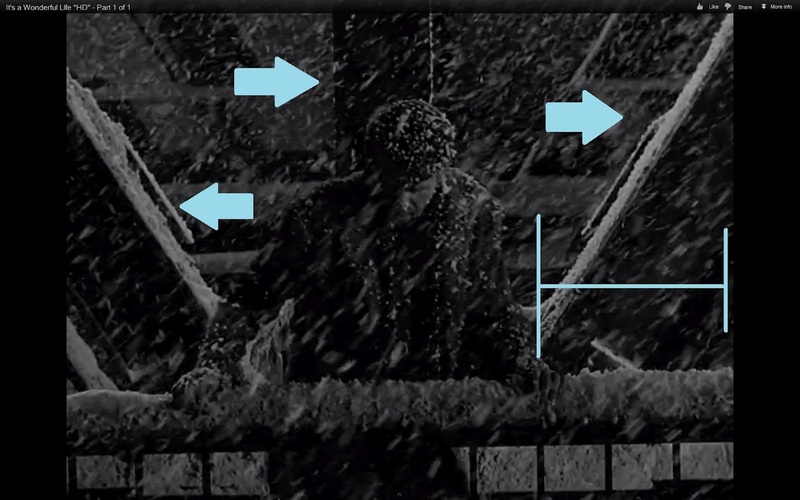 They represent a lot in George's life and I think Capra wanted them to loom large in George's perspective of escaping Bedford Falls. George himself lists them as what he wants to build when he leaves. He states. ". . . and then I'm going to build things. I'm gonna build air fields. I'm gonna buildskyscrapers a hundred stories high. I'm gonna build bridges a mile long . . ."
Those aspirations or at least inclinations stay with George throughout his life as we see it. 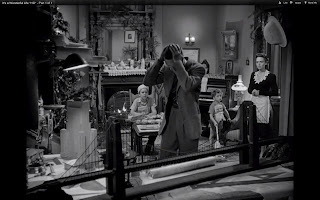 We see him actually do some of those things , or at least on a smaller scale as in the Bailey home, George has a desk with many of his wishes represented, including what appears to be a model of the Brooklyn Bridge. 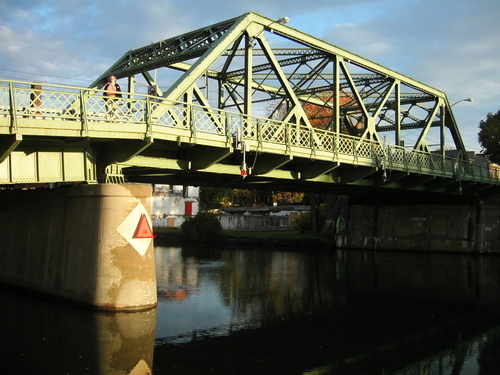 The other bridge that is featured in the movies is the famous Remagen bridge which is discussed with Marty Hatch in our visit back to Bedford Falls High. But it is the Bedford Falls Bridge which we are most interested in. 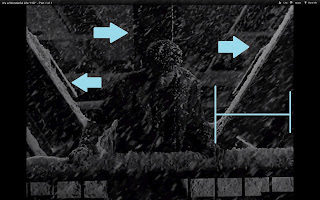 For it represents the staging point for George's divine intervention. Seeing as the town has its definite main street running length wise we are not stretching too much if we assume that people traveling to and from Bedford Falls will drive and pass over the bridge. As George first approaches we see him almost get hit by the truck and then pass over to the side. Here we get a sense of the size of the bridge overall. As George stumbles over to the walkway we see him run into some signage that lists a couple warnings for passing traffic. 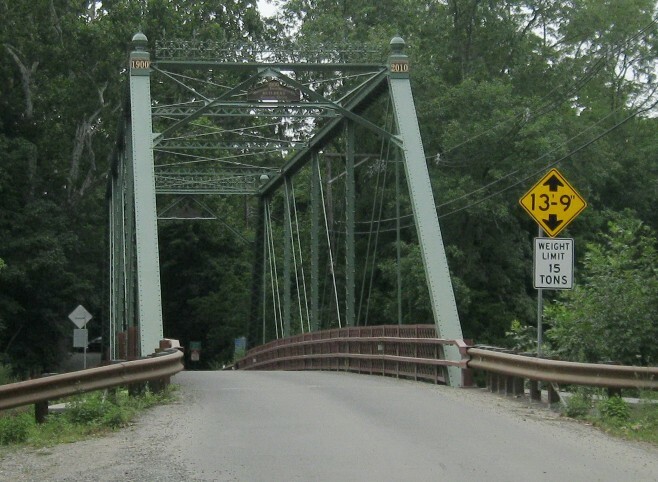 The first states "Trucks over 15 tons prohibited" which was and remains pretty common for that size and type of bridge. 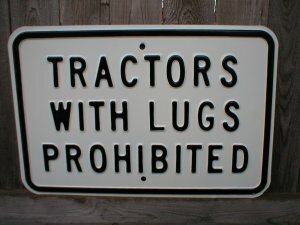 The other sign below that states something some might not understand at first. 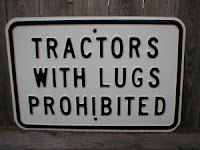 This sign reads "Tractors with lugs prohibited". 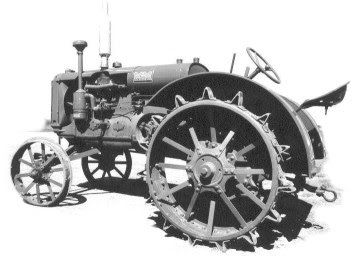 Lugs where cleat like things that older tractors might have had before rubber tires became most common before World War 2 and universal afterwards. The cleats were metal usually iron and they would do damage to certain road materials including the wood used on many bridge roadways. Rare to see such signage outside an antique store any more. The last sign you can see is one that just lists the walkway George is heading to as for "Pedestrians Only". 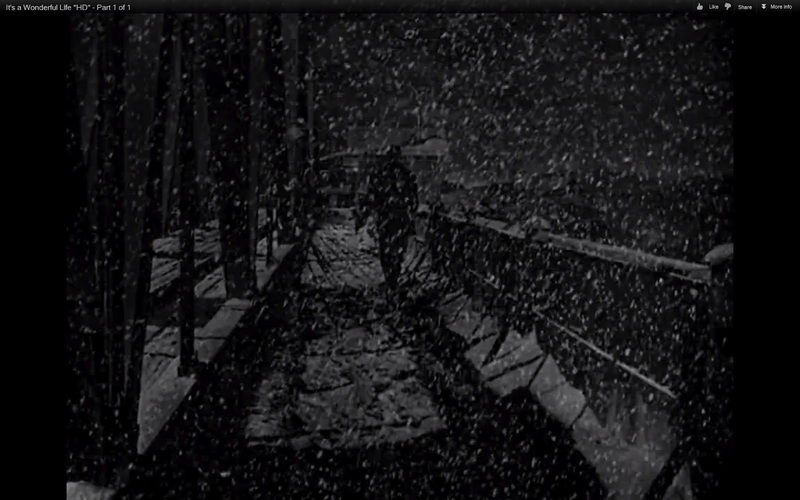 Capra shows off some of his revolutionary snow special effects as George walks and picks out a spot to think. As George stops we can again gauge a bit of the size of this bridge. The structure is of course a steel trestle but as George stops we can get more a sense of scale of the structure. The three beams connect just behind him. Travers in a very different type of suit. Just before he checks both ways to see if anyone is looking, we get our first look at Clarence Odbody on screen. He standing in front of some of those warnings stripes that appear to be on the inside of the bridge. Clarence is played by the lovable Henry Travers. Travers was an English stage actor who stared some classics like The Yearling and Dark Victory. He was nominated for an academy award for his role in the famous Mrs. Miniver. 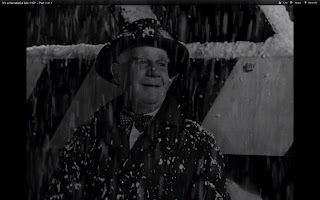 I think besides It's a Wonderful Life, my favorite role of his is for his part in the 1944 film The Very Thought of You with a very un-Bailey like Beula Blondi. 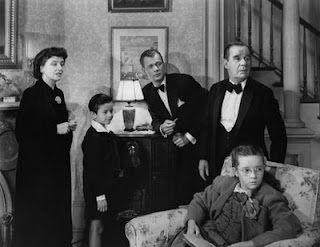 Sadly Travers only lived three more years after playing our beloved Clarence, passing away in 1949. 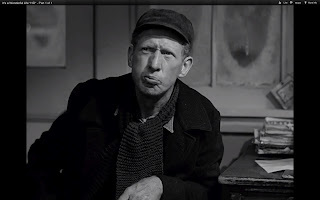 Soon after Travers makes his appearance we also first see the brief face of the poor toll keeper of the bridge who is stuck working alone on CHRISTmas eve. 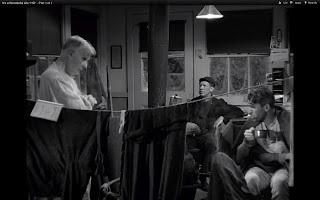 The uncredited and unnamed dedicated soul is played by Tom Fadden who if there was such a think as most proliferate uncredited actor award, he might get it. 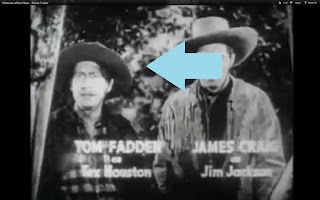 Fadden played in hundreds of roles in films and then televisions series over the years including the bigger series such as Bonanza (episode linked) and Gunsmoke. He had one of his larger roles in a series from the 40's called The Winners of the West in which he played a western sidekick. 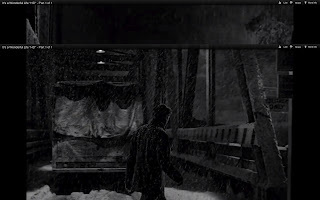 Screen shot below is blurry but you can make out the friendly features of the toll keeper which hopes out with his flash light on our famous bridge. 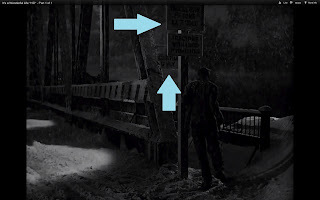 Speaking of that flashlight, it's him and that torch which give us our only view at just how far above the water the bridge is. As the unlucky worker of the toll house on this special evening, he's given a front row seat (literally!) 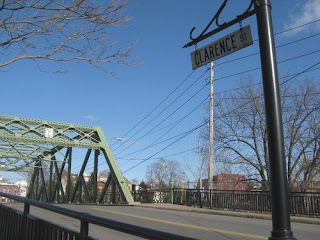 to the first exchange between George and Clarence. The little gate house building is off to the side of the bridge and apparently just controls a bar or gate for traffic moving across. Tom Fadden died in 1980. "Cheerio my good man!" Below are some shots of the inside and outside views of the little building. Inside of the bridge toll house building. Tom Sawyer drying on the line. It's claimed that Bedford Falls was modeled after the real life Seneca Falls New York. Frankly I think they have a good case, and if you look at their information as well as the bridge there then I think it's hard to disagree with. 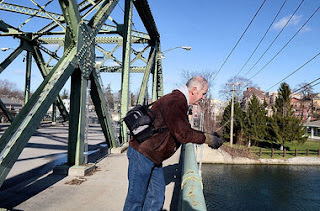 I have the link on the blog homepage but here is the site listing the real Bedford Falls as well as the real Bedford Falls bridge. Below are some comparing views of the movie versus the Senaca Falls version. Judge for yourself. 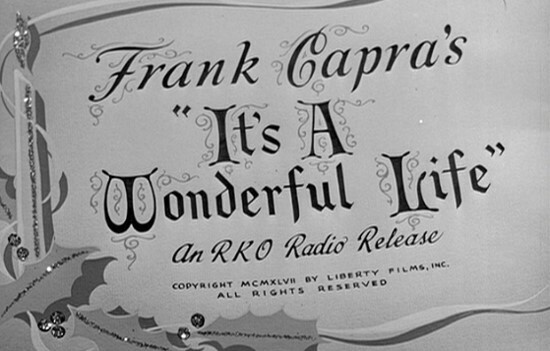 In the colorized version of It's a Wonderful Life, they bridge is indeed made green. Now that thoughts on on the real bridge from the movie, and seeing the bridge directly from the film, we'll turn to Enesco's version of recreating it for the village collection. Now perhaps I'm too harsh but I find it one of the worst of the set, but perhaps not for reason that most would care too much about. First of all I don't like how the bridge ... is well not a bridge. Due to the terrible design, the scale is much too small for the vehicles of the collection and it seems they squeezed the bridge to fit in some kind of preset length. The water below seems to go no where so unless Enesco was planning on bringing out additional water features they should have just focused on creating a bridge like structure. The little toll house though quaint looking is far too big compared to how they shaped the "bridge" and effectively doesn't resemble the movie version very much at all. They also stuck an out of proportional George figure on the side which again I think is a terrible addition as it doesn't match the other people and forces someone who doesn't like the figurines of the series to showcase one. 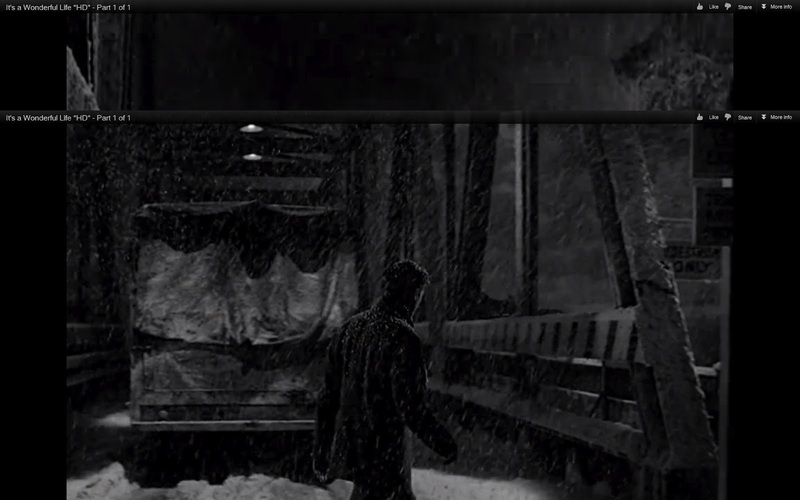 I remedied this by creating and building my own bridge to match the movie and my set more accurately but will leave those thoughts for another time. 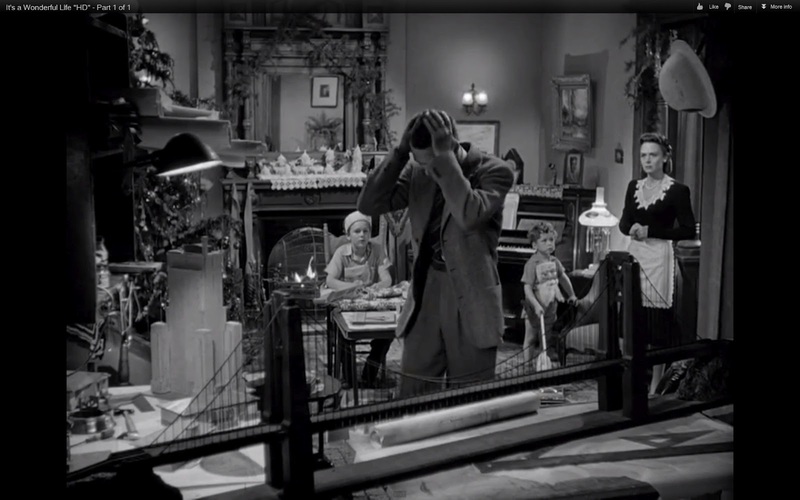 But, leaving my opinions aside below you can find the pictures of the Enesco It's a Wonderful Life Village second series piece, The Bedford Falls Bridge. 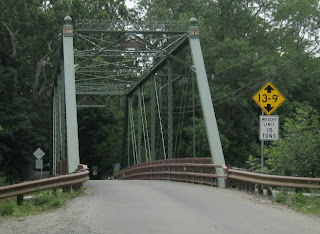 Enesco Bedford Falls Bridge: Box angle. Click the 'Read More' below to view all the images. And lit up. Why they couldn't put at least some kind of connection through the bridge to spread the light I don't know. While the little toll house looks actually pretty good, a simple lighting of the bridge would have been even nicer. George walks up to the bridge there is a light for traffic ... why did they leave the bridge dark? As mentioned though, I have built or modified my own bridge for my village so if interested I might get into that later. Enesco Bedford Falls Bridge: Toll house glow. 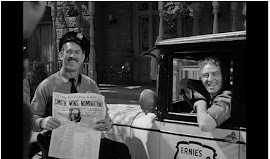 TOLLKEEPER: "It's against the law to commit suicide 'round here"
CLARENCE: "Yeah, it's against the law where I come from, too."